Following an early retirement in 1992 Bob Evans and Peg (McIntosh) Evans took a step back and asked themselves “what have we always wanted to do, but haven’t had the chance to do? We’d each raised a large family, watched them grow, complete their schooling, marry and have families. We had set them free to follow their dreams, and now we found ourselves in our mid-fifties and free to pursue our unrealized dreams. Both of us knew immediately what that dream would include: travel, education, and cultural experiences. Our journey began with a year of service in Elgin Texas, which gave us the courage to apply for our first assignment overseas, which was two-years in Bangladesh Job Creation Program for women. This involved travel, learning another language, living and working in another culture. It was difficult but amazing; at times it was a heart-wrenching experience of personal growth. 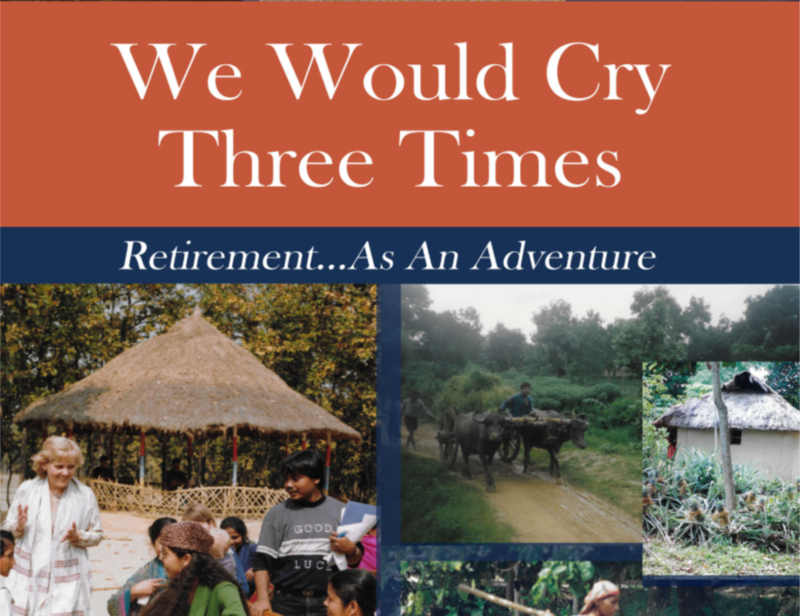 It was as predicted, we would cry three times: 1st, on our arrival wondering what we had gotten ourselves into; 2nd, on witnessing the dire poverty and feeling helpless, and 3rd, on leaving the country of Bangladesh and the friends we had grown to love. They would be tears of love, sadness, frustration, and joy, but we continued to serve for 3 more years in British Columbia assisting First Nation people, and in Cambodia to support Peace National, but more than that it was life changing. and Justice for minorities and nationals. Bob and Peg were married in 1992, a year before their first assignment. They have a combined family of 12 children, 32 grandchildren and 4 great grandchildren. They are now in their early 80’s and live on the Monterey Peninsula, Salinas, California. They have been members of the Church of Good Shepherd for 4+ years. They have written many stories of Bangladesh and have recently published their book, available on Amazon.com.